Delhi farmers' protest: The last time when the farmers protested in Delhi on October 2, they were met with barricades, water cannons and even tear gas shells. 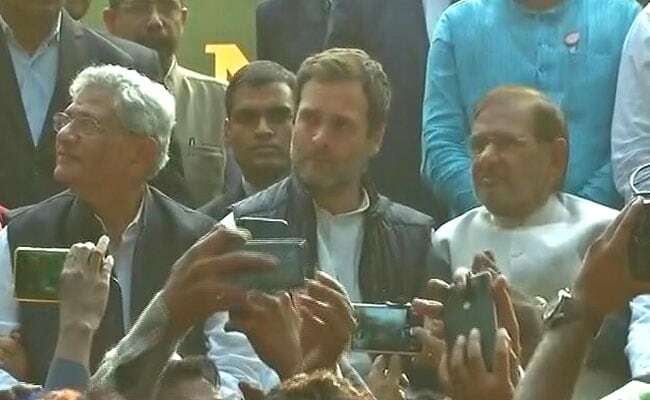 Farmers' protest: Rahul Gandhi was joined by other opposition leaders in their support. 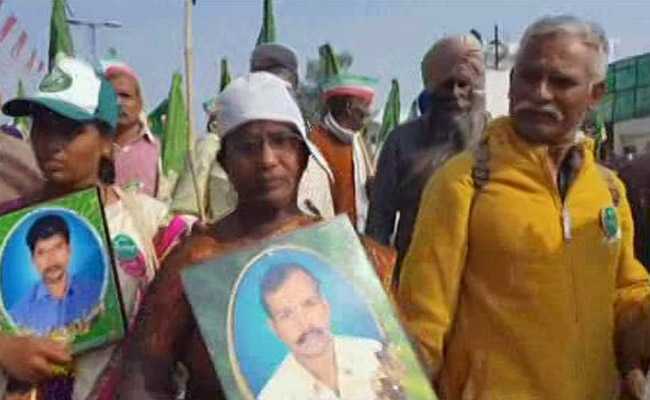 Tens of thousands of farmers, some carrying skulls of those who committed suicide, had marched towards parliament demanding loan waivers and better prices for their produce.The protest is one of the biggest displays of frustration with BJP government, which faces a tough general election due by May next year. Many of the farmers came in trains and other packed into buses and other modes of transport, it said. Over 3,500 police personnel have deployed to ensure security at the event. As many as 850 police personnel, up to the rank of sub-inspectors, have been deployed in the Central district. They will be augmented by the presence of 12 police companies, including two of women, comprising 75-80 personnel each, a police official said. 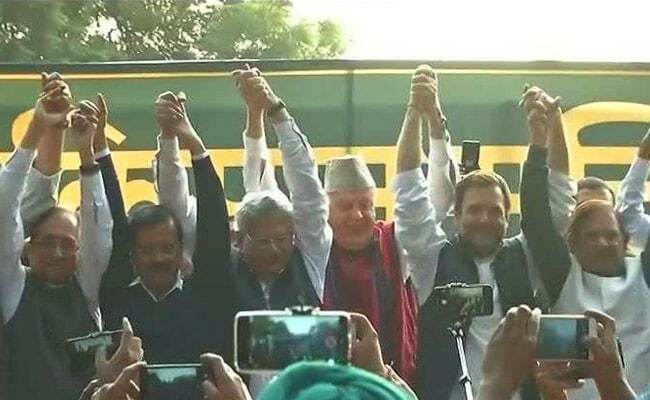 The protesters are backed by opposition politicians, including Rahul Gandhi, Arvind Kejriwal, Sharad Pawar, HD Deve Gowda and others. 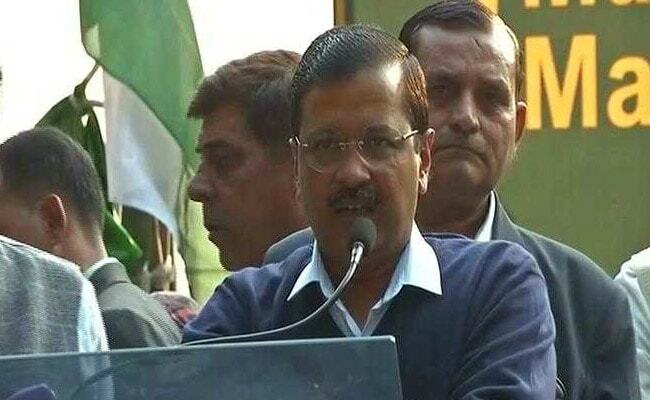 CPI(M) general secretary Sitaram Yechury and Aam Aadmi Party leader Arvind Kejriwal also addressed the masses, among others. Pradhan Mantri Fasal Bima Yojana is a fraud, money is withdrawn from accounts of farmers without their consent. Insurance firms have put a condition, that they won't compensate till 70% if crop is destroyed. It is a scheme to rob and not an insurance scheme. It is Daaka Yojna and not Beema Yojna. We compensated farmers to the tune of 50 K per hectare, if Delhi government can do it, can't PM Modi do it? We need to discontinue Fasal Beema Yojna, it was drafted to benefit owners of insurance firms. Farmers should get the full price of their crops. All parties here say Swaminathan Commission report should be implemented. Farmers don't want charity, but their due. If farmers get their due, they wont come back again. They will take care of their dues the next time. Government should buy crops if no one is buying them. The country where a farmer himself is suffering with hunger, that country can never prosper. In our border, jawan is unhappy. In country, farmer is unhappy. That you had to march to Delhi to be heard is sad. 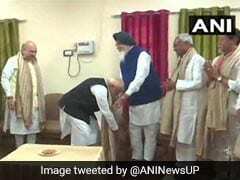 BJP said they will implement Swaminathan Commission report. They'll give 100 Rs profit or 50. Affidavit has been submitted in court now that the report can't be implemented, there can't be any greater betrayal than this. Take the affidavit back, implement the report or come 2019 and these farmers would rise in revolt against you. Today there are 2 issues in front of India. The fight is for youth and farmers' futures. BJP, Modiji has waived 3 and half lakh crore of loans of his rich friends. We are only talking about justice. If their loans can be waived, then the farmers' loans will be waived. India's farmers aren't asking for gifts. He is asking only his due. Prime Minister said you'll get bonus, MSP, and what happened today? All your money goes to Anil Ambani's pocket. Farmers aren't asking for Ambani's aircraft. If you can wave their loans, then you should waive farmer loans. We are with you. You feed the nation. You wake up at 4 am and give your blood to the nation. Whatever you say, we will do that. 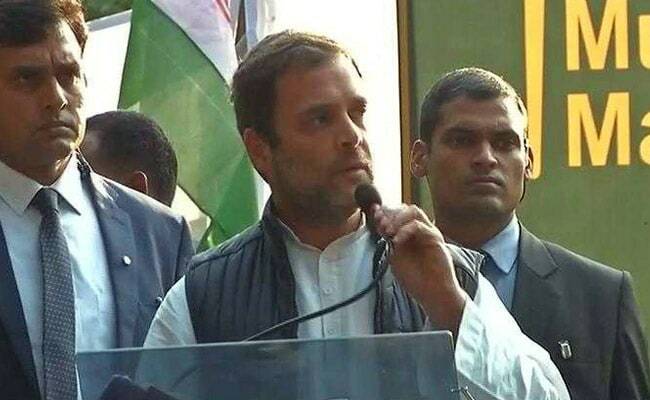 Congress President Rahul Gandhi will address the farmers at Jantar Mantar. 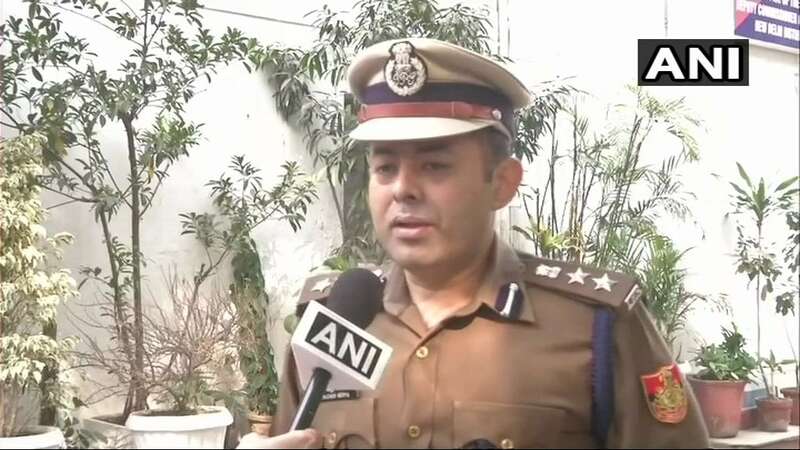 Deputy commissioner of police (New Delhi) Madhur Verma said farmers were given permission to hold rally from Ramlila Maidan to Jantar Mantar after multiple rounds of talks. He said that multiple layers of barricades have been put in place around protest sites'. 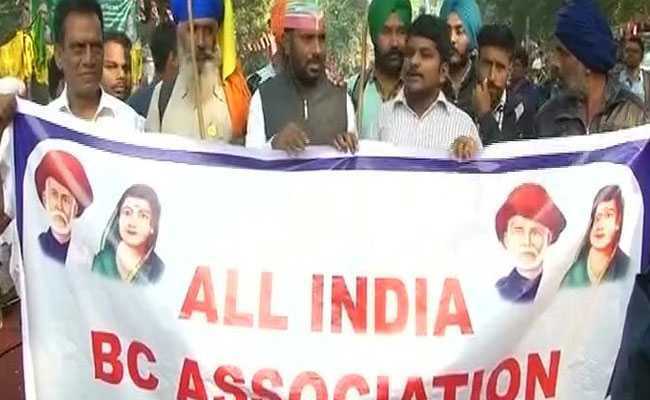 The protesters, backed by the Left and a number of farmer groups, marched for more than 25 km from five different locations towards Ramlila Maidan yesterday. Social activist Medha Patkar said many political leaders, including Delhi Chief Minister Arvind Kejriwal and Nationalist Congress Party chief Sharad Pawar, are expected to participate in the rally. National Conference leader Farooq Abdullah and Trinamool Congress' Dinesh Trivedi, Loktantrik Janata Dal (LJD) chief Sharad Yadav were among the others who were expected to address the farmers. The farmers have now reached Jantar Mantar. 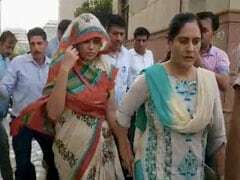 The farmers were allowed to go to Parliament street following due permission from the Delhi Police. Widows of farmers from Telangana who committed suicide after they failed to get adequate compensation from the government are also participating in the protest. Traffic in central and Lutyens' Delhi went into a tizzy on Friday as thousands of farmers, who have been camping at the Ramlila ground since Thursday, began their march to Parliament amid heavy policy deployment, to press for their various demands including debt relief and remunerative prices for their produce. Traffic was affected on the Jawaharlal Nehru Marg, on the stretch near Guru Nanak Eye hospital, Maharaja Ranjit Singh flyover, Barakhamba Chowk and Janpath on Friday morning. Commuters were advised to avoid these routes. Around 1,000 traffic police personnel have been deployed between Ramlila maidan and Parliament to ensure that commuters do not face inconvenience. 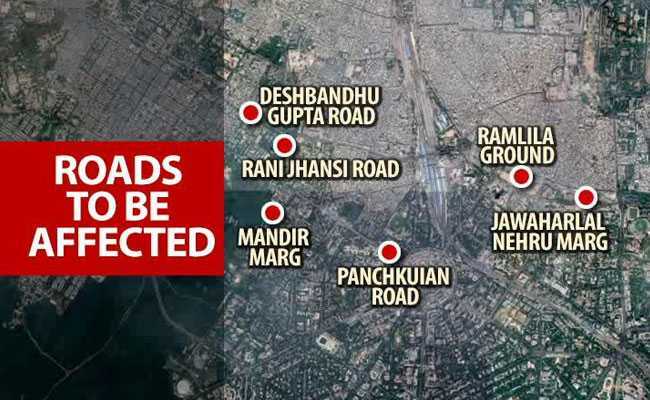 "Due to this march, Kasturba Gandhi Marg, Ferozshah Road, Janpath, Mandir Marg, Panchkuian Marg, Ashoka Road, Jai Singh Marg and inner and outer circles of Connaught Place will be effected. Our senior traffic officials, along with other traffic personnel, are managing traffic," a senior traffic police official said. Citizens were advised to follow the Delhi Traffic Police Facebook page, Twitter handle, WhatsApp and the traffic helpline for live updates. This is the fourth major protest by farmers this year. Head of All India Kisan Sangharsh Coordination Committee (AIKSCC) procession is Guru Nanak Eye hospital. 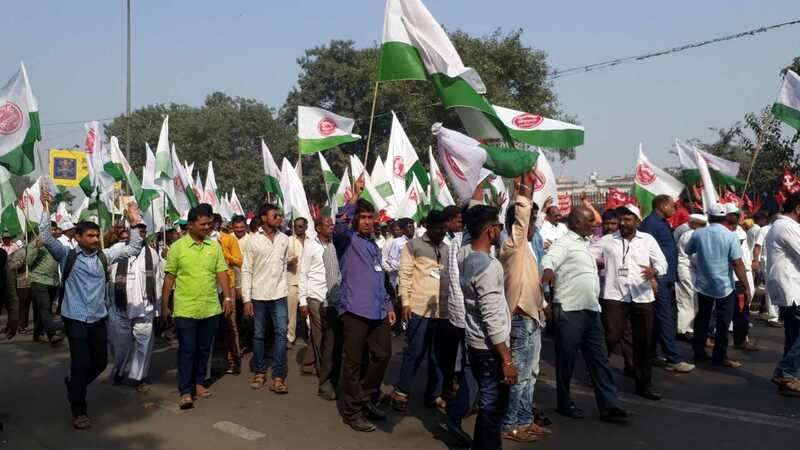 Farmers from different parts of the country, including Andhra Pradesh, Gujarat, Madhya Pradesh, Maharashtra, Tamil Nadu, West Bengal and Uttar Pradesh are participating in the protest. The farmers are planning to march towards the Parliament shortly after 10 am, however it is not sure whether they have got permission from the police. A group from Tamil Nadu threatened to march naked if they are not allowed to go to Parliament on Friday. 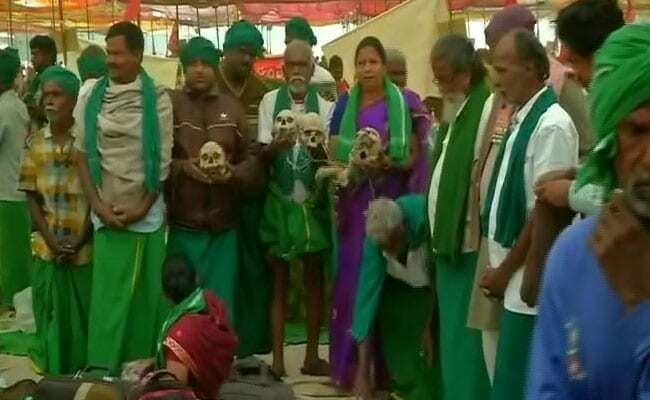 Last year, the group staged protests at Jantar Mantar with the skulls of eight farmers who killed themselves owing to farm losses. The two-day rally will be one of the largest congregations of farmers in Delhi, the AIKSCC has claimed. Vounteers, including doctors, lawyers, professors and artists, all came out in large numbers to help. 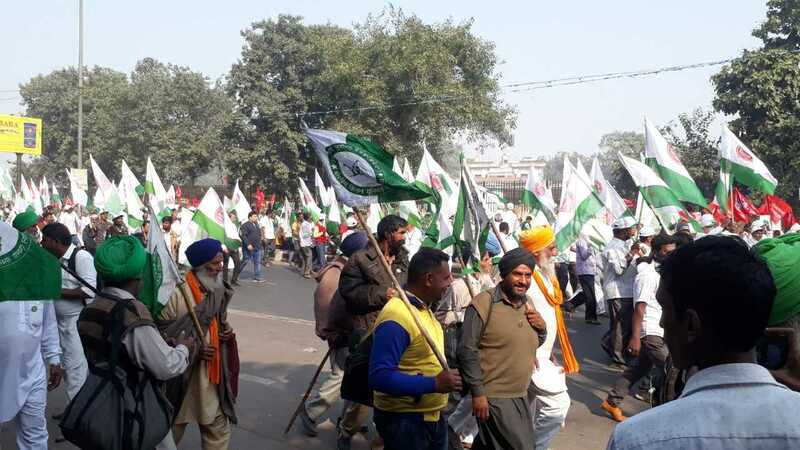 Around 600-700 volunteers of a solidarity group Nation For Farmers marched with the farmers from four assembly points -Bijwasan, Majnu Ka Tila, Nizamuddin and Anand Vihar towards Ramlila Maidan. Five Gurdwaras in Delhi have extended their help to the farmers. Bangla Sahib Gurdwara, Sisganj Sahib, Rakabganj, Bap Sahib and Manju Ka Tila provided accommodation to farmers for the night. The protest is being backed by the Left. 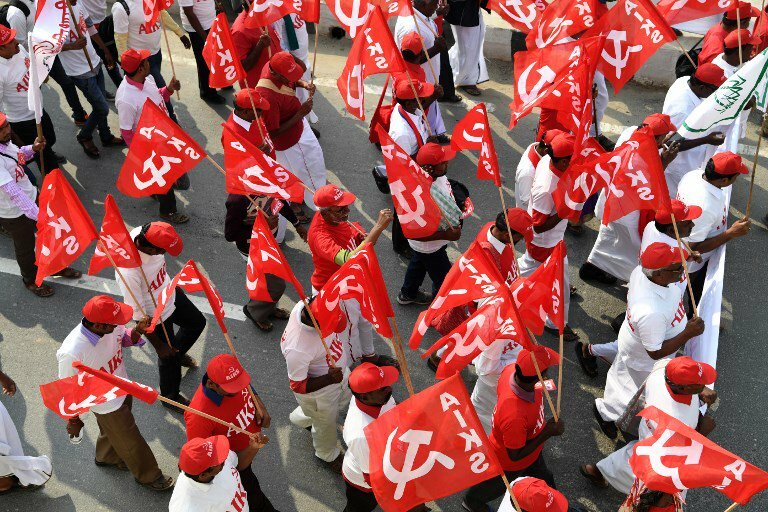 The farmers from different corners of the country, including Andhra Pradesh, Gujarat, Madhya Pradesh, Maharashtra, Tamil Nadu, West Bengal and Uttar Pradesh have reached the national capital for the protest. From Ramlila Maidan, the farmers will march to Parliament Street on today.